The announcement by Pope Francis that documents in the Vatican Secret Archives relating to the pontificate of Pope Pius XII between 1939 and his death in 1958 will be opened to scholars next year must be welcomed. Pope Pius, whose papacy began 80 years ago — just half a year before World War II broke out — is perhaps the past century’s most controversial pontiff, owing to his supposed inaction in the face of the Holocaust. To critics, Pius was virtually complicit in the persecution and genocide of Jews by his failure to loudly and repeatedly condemn the Holocaust. This perception has even clouded Catholic-Jewish relations, which took a knock in 2012 when Pope Benedict XVI declared Pius XII “venerable”, thereby authorising his sainthood cause. 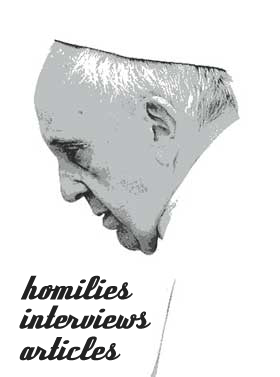 Pope Francis acknowledged these sensitivities when he expressed his confidence that “serious and objective historical research will know how to evaluate in the right light, with suitable criticism, moments of praise of that pope and, without doubt, also moments of serious difficulties, tormented decisions, of human and Christian prudence, which to some could look like reticence”. Time will reveal whether evidence-based scholarship will correct those current narratives which portray Pius XII as either a Nazi stooge or a dithering coward. Everybody knew what he meant. Leading Nazi Reinhard Heydrich rebutted that Pius “makes himself the mouthpiece of the Jewish war criminals”. For Pope Pius’ defenders, his reluctance to speak out more trenchantly was a prudent decision, intended to prevent tragic repercussions, such as the round-up of Jews and non-Aryan Catholics in the Netherlands, in reprisal for the local Church’s anti-Nazi pronouncements. Later that year, he told the College of Cardinals that every papal communication to “the responsible authorities” and public declaration had “to be seriously weighed and considered in the interest of the persecuted themselves in order not to make their situation unwittingly even more difficult and unbearable”. It is academic whether or not Pius XII’s reticence to speak out was a prudent decision or a grave error. We cannot know whether public condemnations would have tempered the Nazis’ genocidal policy, especially when such censure came from a man whom that regime considered an opponent (whose imprisonment or assassination they reportedly considered after occupying Rome in 1943). Whichever conclusion one may arrive at, the notion that Pius XII was indifferent to the Holocaust is not sustainable. It is a matter of public record that Pope Pius did much to facilitate the Catholic Church’s initiatives in saving Jews, especially in Italy as well as through papal nunciatures such as those in Budapest and Istanbul. Indeed, the pope’s ostensible neutrality might have been a key to these efforts. In Rome, around 5700 of the city’s 6730 Jews were saved from the Nazis’ October 16, 1943 round-up because they were given refuge in Church institutions. Historians may argue to what extent Pope Pius was involved in that rescue operation, and others like them throughout Italy, but it is inconceivable that it would have been possible without at least papal knowledge and approval. Perhaps the archives will produce documentary evidence of Pius’ involvement. Post-war Jewish leaders such as Golda Meir, Albert Einstein and Roman Chief Rabbi Israele Anton Zolli needed no such proof: they hailed Pope Pius as a “righteous gentile” for his lifesaving efforts on behalf of Italian Jews. Full access to the archives will likely provide greater clarity about Pius XII’s wartime record. We must hope that these insights will be met with open minds.